Double Gold - '19 American Fine Wine Comp. Beautifully integrated with black current, cherry, mocha with a smooth, elegant mouthfeel. A single-vineyard Merlot from the Oak Knoll District of Napa Valley. It has deep, dark red color with ripe fresh fruit aromatics. The wine is layered with red cherries, blackcurrant, subtle vanilla with mocha/chocolate notes on the finish. It is a well-balnced, food-friendly wine. 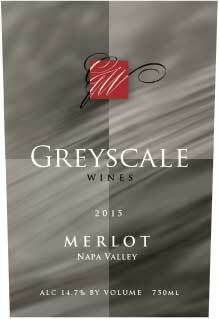 The price of this product varies with the quantity of products ordered in the category "All Greyscale Wines"